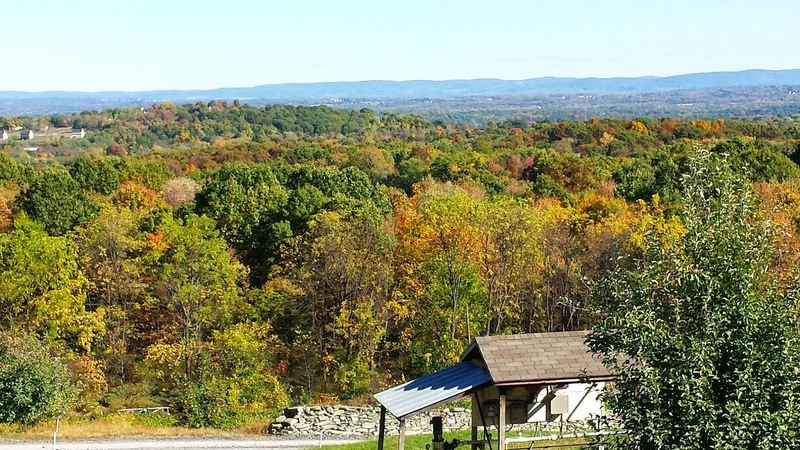 Big Elm is a great brewery located in western Massachusetts near the New York State boarder. Great stuff. Congrats to them! Thanksgiving, like any holiday, is an act of repetition, only more so. Not just because it rolls around every year on the fourth Thursday of November, but because we ritually prepare the same meal. Nonetheless, because it may be the only time we roast a turkey, recipes are in order, complete with the latest intelligence on basting, brining and bringing out the flavor. 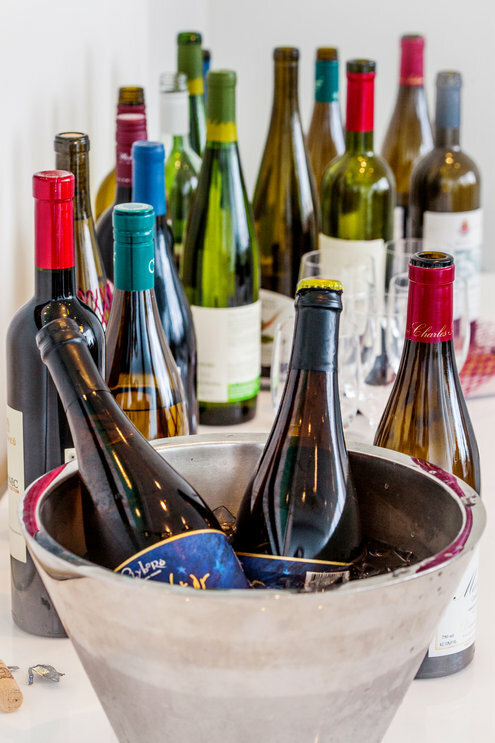 So it is that, for the 11th consecutive year, the wine panel’s home team sat down in advance to a typical Thanksgiving meal, along with a series of wines to taste blind with the turkey and sides. Florence Fabricant and I were joined by Julia Moskin and Pete Wells, along with Bernard Kirsch, our tasting coordinator. The ground rules were simple. Each of us brought two bottles, costing no more than $25 each. One was to be red, the other white, rosé or sparkling. This year the rule was stretched, as one bottle turned out to be a cider. Our years of experience permit us to condense the accumulated wisdom to a few simple guidelines, which apply primarily to large-scale gatherings. If you are serving an intimate holiday meal for, say, four people, you can spend as much as you like on wine, plan different wines with each course and bring out your best glassware. VERSATILITY This is not the time to fuss over specific food and wine pairings. You need all-purpose wines that will go with many different sorts of dishes. One should be red, the other white, with additional sparkling or rosé wines at your discretion. You will want plenty. Few things are as sad as running out of wine on Thanksgiving, except running out of food. Figure a bottle per adult. ENERGY Wines should be nimble and refreshing, energizing rather than fatiguing and low in alcohol, if possible. It’s a long, tiring meal, and the last thing you want are heavy, alcoholic, torpor-inducing wines. Instead, they should be light and exhilarating, the sort that promote salivation rather than comas. The challenge is determining which wines fit this bill. Enter the wine panel. All the wines we brought would have been fine for a Thanksgiving meal, even the cider. It’s important to understand, though, that these are representative of the sorts of wines to seek out. Most likely, these specific bottles will be hard to find, but not to worry. Many similar wines will be available. Let’s first take the cider, which Pete brought. He wanted one of his bottles to be American, and what’s more American than cider? The leading beverage of colonial America, it’s undergoing a renaissance today. 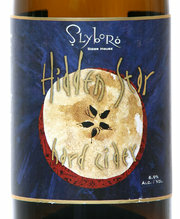 The Hidden Star Semi-Dry cider, from Slyboro in upstate New York, was deliciously refreshing and a mere 6.9 percent alcohol. You could drink it throughout the meal, but if you are used to the complexity and savor of wine, you may grow tired of the fairly simple flavors. 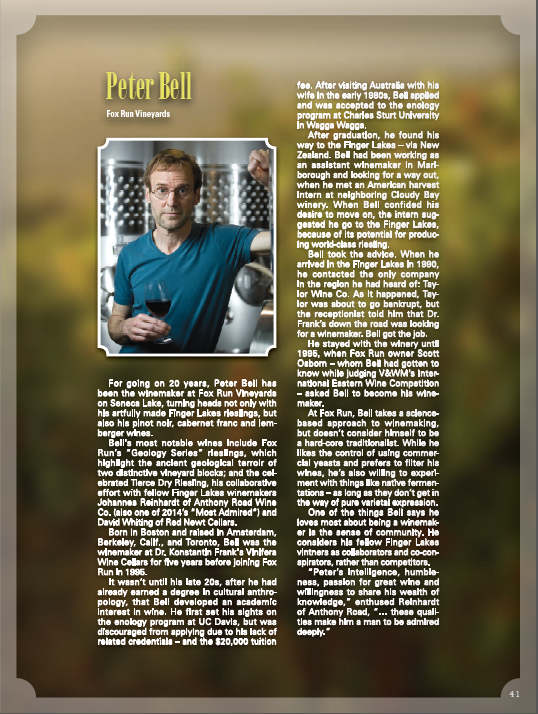 The December 2014 issue of Wine Enthusiast has a special feature written by Mike DeSimone and Jeff Jensen entitled "Comfort & Joy." In that article on of the wines recommended for the holidays is the Hudson-Chatham 2013 Baco Noir Old Vines Masson Place Pultney Farm. 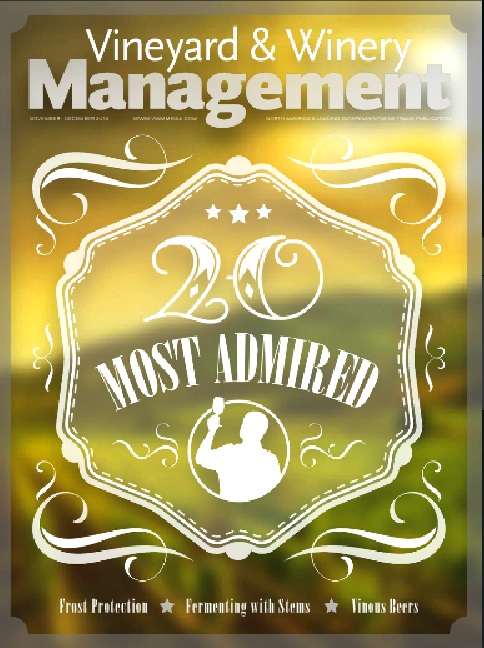 Vineyard and Winery Management named their 20 Most Admired Winemakers in North America in their November/December 2014 issue. There are several things I like about this article. The first and most important thing is that 10 years ago, not one winemaker would have been included in the Top 20. It goes to show how far East Coast winemaking has come. And what the quality levels are on the east coast. It's not only a compliment to the four who made it to the list, but it is a badge of honor and recognition of the east coast to have contributed 20% of the list! It is a compliment to the entire east coast winemaking establishment. It's the kind of recognition that the east coast deserves. Secondly, I love article like this because, as a publisher, I love what I and others call "Argument Starters." Because of course, there are a number of names, very good quality names, that deserve to be on the list as well. And of course, that is always the most fun part of these pieces. These are great bar stool conversation piece. It's almost as good as naming your wine Mount Rushmore. You could conjecture his out for days. And I just may yet below. The alst thing I was say, which is true of all the winemakers on the list, is that these were all people who have contributed to the world of wine. They have helped others. They see the bigger picture. They are the people others take their cue from. What is he or she planting? When are they harvesting? How are they making their wine? When people are watching you and emulating you, then you've done something beyond just make wine. And that's super important. And you have to have been doing it for a number of years. Six good vintages are not enough. We're talking, like a sports radio station, about Hall of Fame numbers here. We're looking for 10 or more vintages. I'm not looking for a pro bowl season, I'm looking for a hall-of-fame career. Regardless, well done to the following gentlemen from the East Coast. I know Peter Bell, that is to say he has corresponded with me. I have drank his wines since I was a young pup. He has made some of the best wines in the region for years. Solid, consistent, and well made. His Reserve Cabernet Francs are among the best on the east coast, bar none. But more importantly, what makes Peter Bell among the best is that, like a great football coach, he has a large number of young winemakers who have learned under his wing. 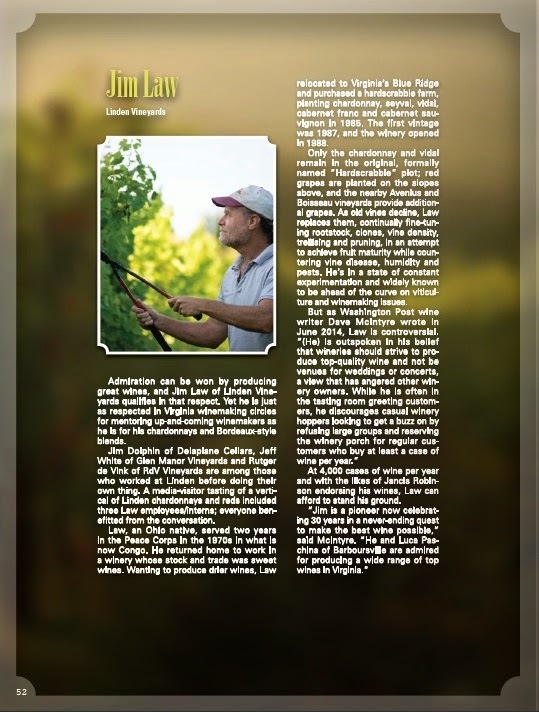 He has been involved in helping numerous wineries get off their feet by supplying expertise or help of some kind. He is as strict and humorless as a schoolmarm when it comes to making good wine. He has no sense of humor about mistakes. He will taste your wine and name the faults first. But he can also be charming, entertaining, and incredibly helpful. And there are a legion of winemakers around the state who look to him for his advice and his approval. If Peter likes it, it's good. That says it all. 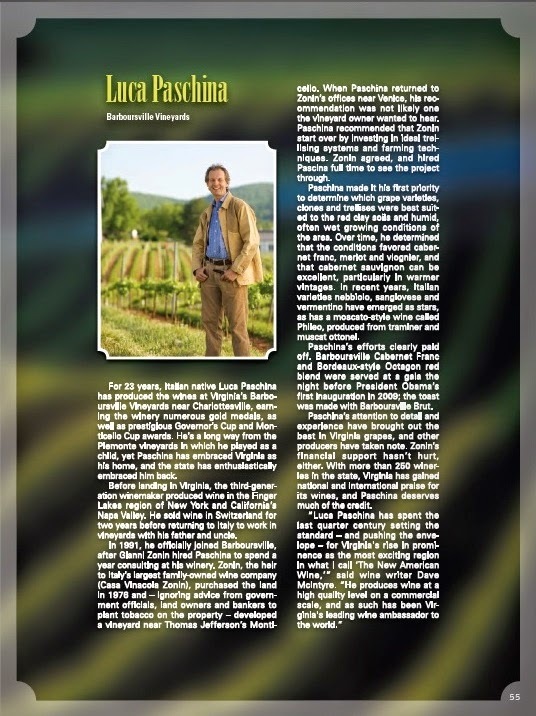 The first time I tried a Linden Vineyards wine, I tried his merlot which was in a by the glass program at a small wine tasting bar/restaurant in Charlottesville, VA. I was by myself, and I wanted to try some wines. I had the Linden Merlot. It was my third taste of the night (not glass, taste) and that was it. I immediately thought that Linden was one of the most amazing east coast reds I had ever tasted. I was amazed. I was so proud of myself to find out later just how well thought of Jim Law is. His wines are not just delicious, but consistent as well. Carefully crafted and beautifully maintained in the cellar, he is a consummate artist/farmer. Farmer is an important word. He's someone who people look to when it comes to growing grapes in Virginia. If Jim Law says it's so...it is so. That's the scuttlebutt in Virginia's winemaking community. It was his Merlot that started to turn my head around about Virginia winemaking. And he is an author, and his book on winemaking is thorough and well written. Jim Law is one of the people who absolutely deserves to be there. Luca Paschina has taken Barboursville to a whole new level. Paschina inherited from Gabriele Rousse an accomplished wine program. Paschina turned it into a dynamic work of art. Paschina's wines explode with fruit, but always maintain the elegant, clean, and classic lines of wines made in in the European style. They are lean and clean, and seem as if they had been made in another world. Like Michelangelo, who claimed he did not sculpt the Pieta, it was in the block of marble and he freed it, Paschina does not make a glass of wine, he finds the wine within the grape and frees it. Under Paschina's shrew and deft hands, Barboursville has excelled, and ascended from being among the best wineries on the east coast, to being in the region's Pantheon. If you haven't had some of his wines, you cannot claim to know anything about wine. Johannes Reinhardt has made exquisite wines for many years. His Rieslings have landed somewhere between the extraordinary and the sublime. His wines, let's be honest, helped raise the reputation of the entire region. His fame was only enhanced by his personal story so beautifully told by Evan Dawson in his award winning book, Summer In A Glass. Tall, handsome, always easy to spot in a crowd, Johannes moves through a room like a movie star or a rock god - he walks with his held high, a smooth, easy gate, and every one else just watches. 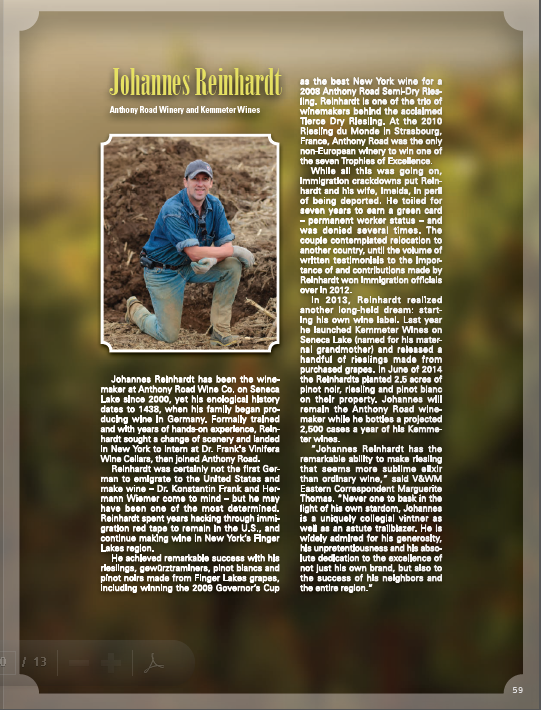 Sophisticated, driven, and accomplished, Johannes' wines are the stuff that dreams are made of. They are handsome, impressive, pronounced. And deserve a place at any table, no matter what continent you are on. OK, now to the bitchy part....who was left off? That's a tough one. Because you can't just make good wine, you have to have done it for years and contributed something along with it. And of course, this is only my east coast rant. The fact that Randall Graham isn't on there is a dagger in my heart. My list might have easily included Cameron Stark of Unionville; Richard Olsen-Harbich of Bedell Cellars; and John Graziano of Millbrook Vineyards. Hands down. No conversation necessary. If John Graziano is the Stan Musial of wine, Cameron Stark is the east coast winemaking equivalent of Cal Ripken. And Rich is something else...he's too cool to have been compared to a baseball player. Neil Young, maybe? Eric Fry of Lenz, Roman Roth of Wolffer Estates; and Gilles Martin of Sherwood House and Sparkling Pointe have been doing it consistently and for a long time. Others might be Anthony Vietri of Va La Vineyards (needs a few more vintages, but certainly seems like that won't be a problem); Nancy Irelan of Red Tail Ridge; Tom Higgins at Heart-in-Hands; and Howard Bursen from Sharpe Hill are all very good winemakers, and well thought of by others. Have I left any off? I imagine I have. Happy to add. Anyway, invite me out to a bar, and buy me a glass of wine, or just come up to the house, and we'll go into the cellar, pull out a few bottles, and argue it out. As I said, I love this kind of stuff. To Read the whole article, download the PDF here! Taste Camp 2014 Hudson Valley was held October 10th and 11th in a series of tours, grand tastings and dinners up and down the Hudson Valley. 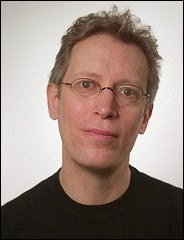 The event is organized by Lenn Thompson of The New York Cork Report and sponsored by the Hudson Valley Wine Country. For two days wine and spirits writers and bloggers from all over the US attended the series of tastings of wines, ciders, and spirits all produced in the Hudson Valley. 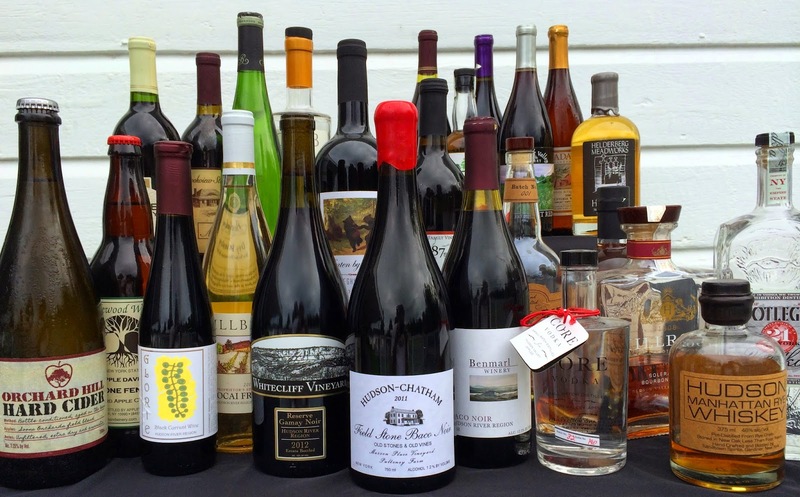 Below are the articles that came out of that series of tastings on the highlights of the Hudson Valley wines, cider, and spirits scene. There's plenty of stuff here, plus there's doubtless more to come. We will try to up-date as we go along. 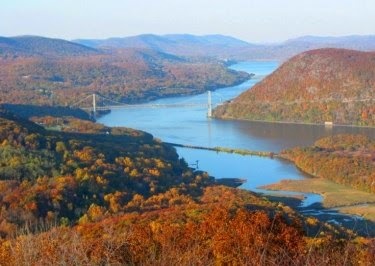 The Hudson Valley is one of the fastest growing and most diversified regions of New York state. They have a number of highly acclaimed, award-winning wineries, and more cideries and distilleries than the rest of the state combined. The number of craft beverage businesses in the valley has doubled in the last five years. 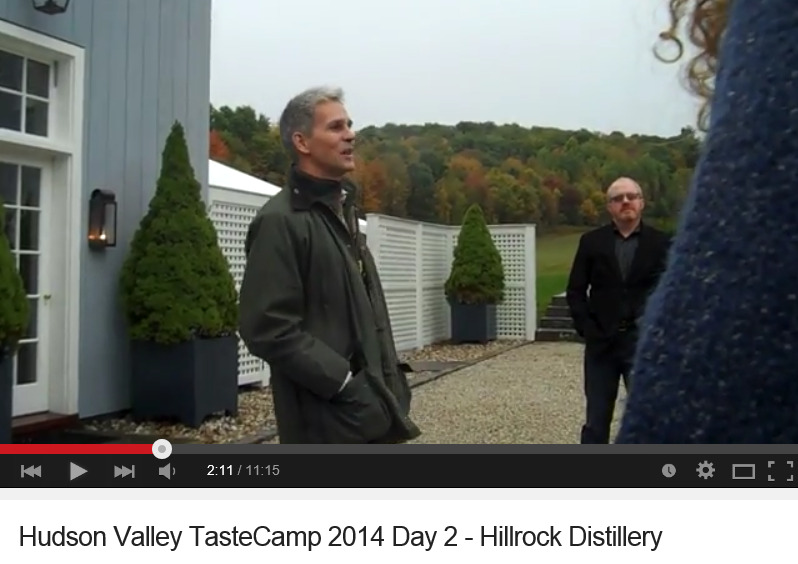 To this end, Taste Camp 2014 visited the Hudson Valley, and Todd Trzaskos made a series of videos covering the events. 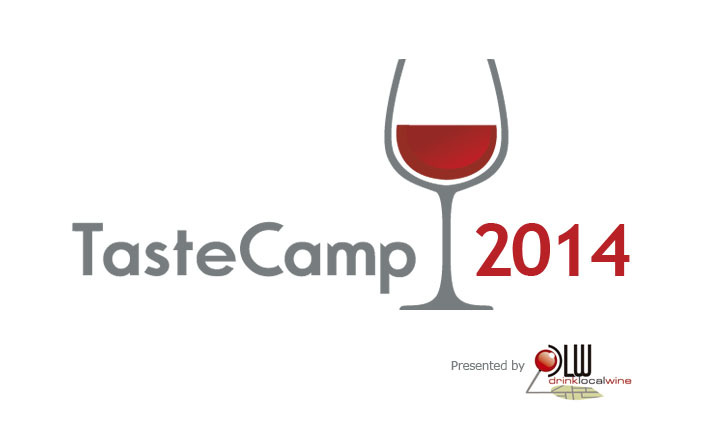 Taste Camp is a promotion by the New York Cork Report (in cooperation with Drink Local Wine) to promote mall regions from throughout the east coast. Wine and spirits writers and bloggers attend from all over the country. This quick series of videos will easily be an excellent introduction to anyone interested in Hudson Valley wine. 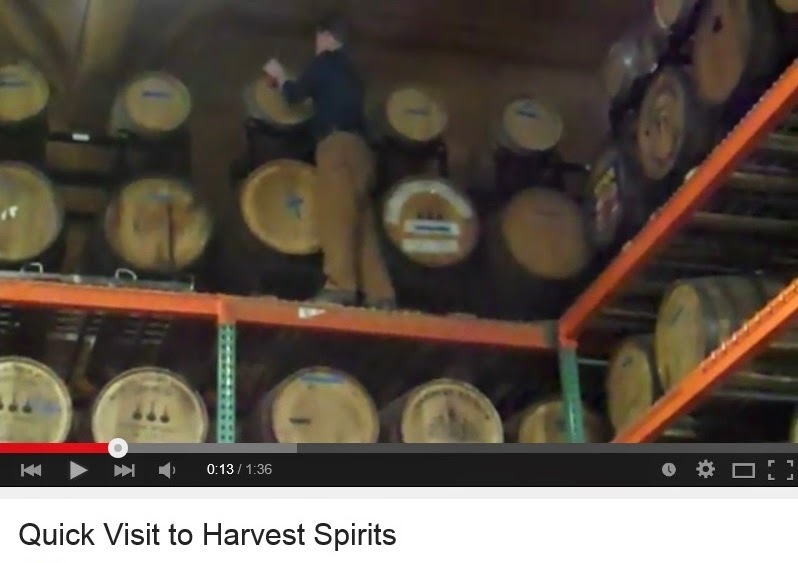 and an interview with Master Distiller Dave Pickerell. Also, Hudson Valley distillery Grand Tasting. 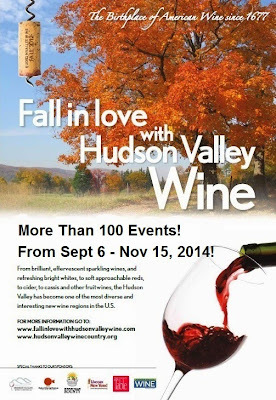 FALL IN LOVE WITH HUDSON VALLEY WINE EVENTS FOR NOV 8 & 9, 2014! CIDER, CIDER, CIDER, AND PRIDE OF NEW YORK AT THE DESOMND HOTEL IN ALBANY!!!! This is a special week in the Fall In Love With Hudson Valley Wine campaign. Firstly, this is the kick off of Cider Week Hudson Valley and it's the annual Pride of New York at the Desmond, in Albany, NY! 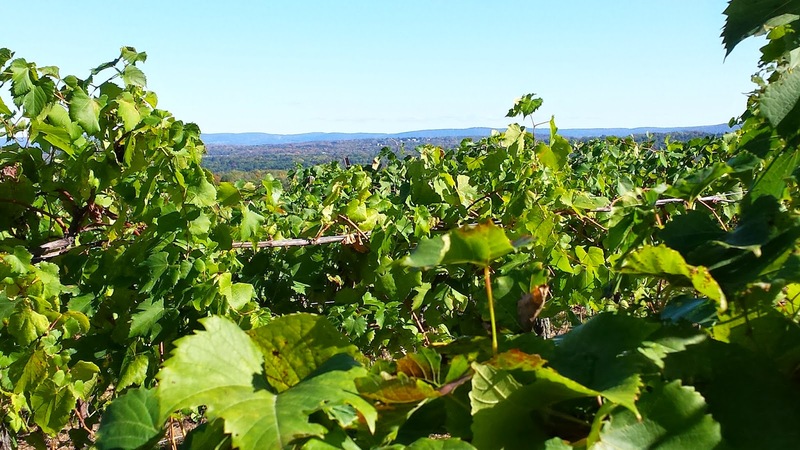 Although my first posts concerning TasteCamp focused on cider and spirits, the Hudson Valley wine industry was the primary focal point of the trip. During the weekend, I probably tasted close to 75 New York wines, with about half Hudson River Region (HRR) designated. 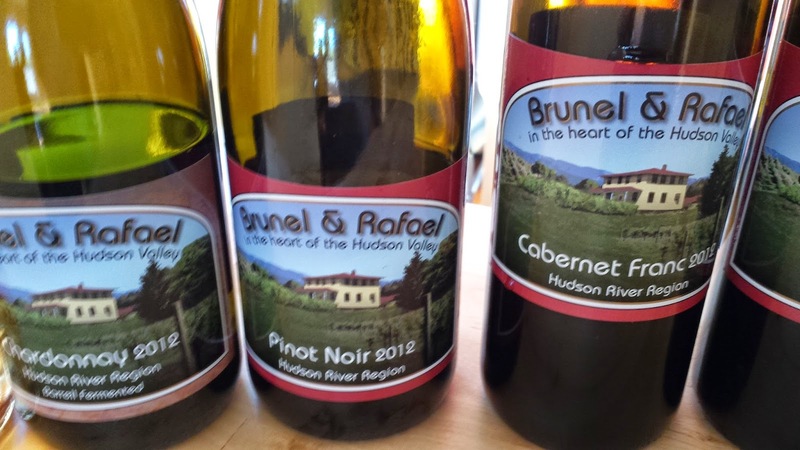 Leading up to the weekend, I gained a better knowledge and appreciation of the Hudson Valley by participating in a #WineStudio series focusing on the region. 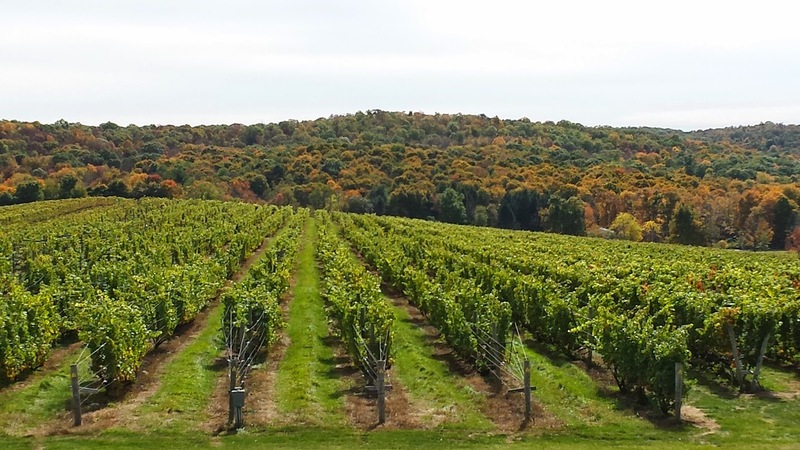 For instance, the Hudson Valley is home to the oldest continually operating winery in the U.S. (Brotherhood America's Oldest Winery) as well as the oldest continually used vineyard, now part of Benmarl Winery & Vineyard. Wine making did not return to the Hudson in a commercial sense, post prohibition, until the Farm Winery Bill was passed in 1976. The drivers of that project were John Dyson - the State Commissioner of Agriculture - and owner of Millbrook Vineyards & Winery and John Miller of Benmarl. By utilizing estate grown grapes (amended two years later to allow any NY grapes), New York wineries received lower taxes, the ability to sell directly to consumers, and to self-distribute. And as importantly, it encouraged the retention and growth of vineyards. 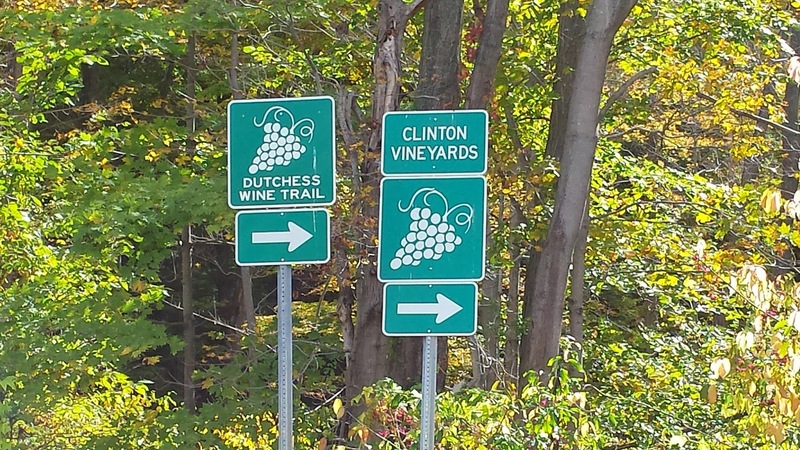 Thus, the New York wine industry owes its current renaissance to two pioneers in the Hudson. In most cold climate regions, French-Hybrids usually dominate and in the HRR, Seyval is a leading white grape. Before this weekend I think the only Seyval I tasted that left an impression was from Linden Vineyards. In most other cases they were just average nondescript wines. 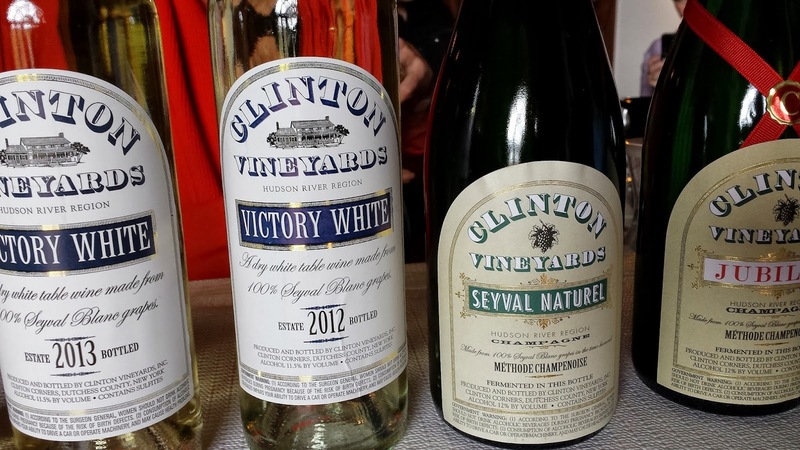 However, I tasted several tasty Hudson Valley Seyvals - starting with Clinton Vineyards - who not only, only produce wine from Seyval, but they also produce champagne methodoise versions. These were quite nice, citrus and effervescent. 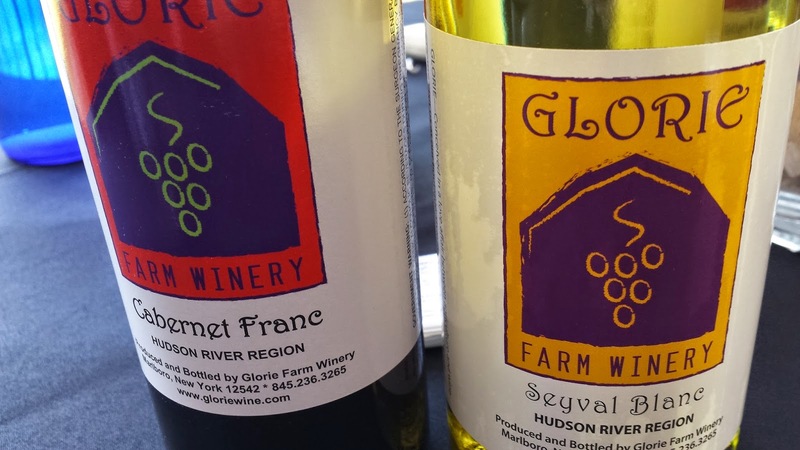 Hudson-Chatham Winery and Glorie Farm Winery both featured Seyval that were dry, light, fruit forward, with a lemon-citrus and acidic finish. And the Whitecliff Vineyard & Winery White Awosting is a very tasty blend of Vignoles and Seyval Blanc. Another benefit of these Seyval wines are their low price points, $15 on average. But, let's talk Hudson River Region vinifera. Starting with whites, I tasted several nice Rieslings over the weekend, with most produced from fruit sourced from the Finger Lakes. 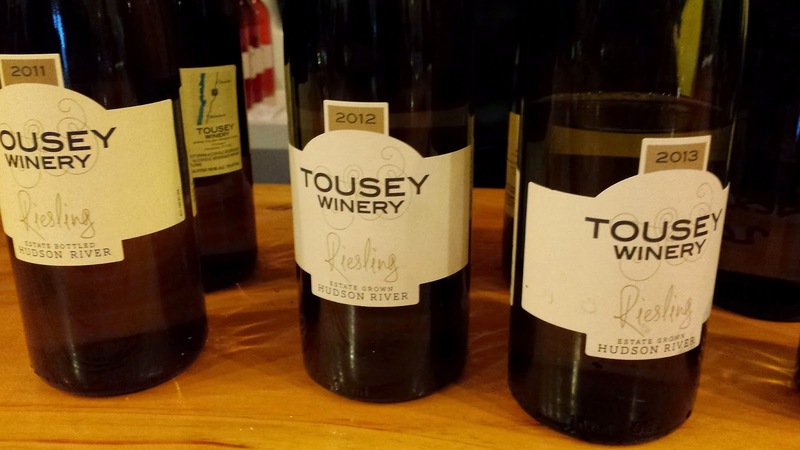 The exception was Tousey Winery, where we were provided a vertical tasting of their 2011 to 2013 Estate Grown Hudson River Rieslings. These wines were fantastic, each different, but showcasing the stone fruits and acidity inherent and American Riesling. Owners Kimberly and Ben Peacock have an interesting story as well, agreeing to take over operations while visiting from Europe. It also helps that Peter Bell, of Fox Run Vineyards, is a consultant. 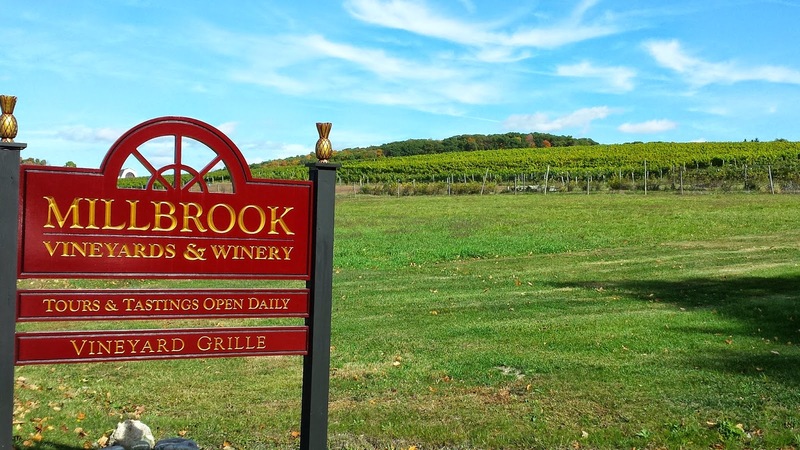 Millbrook Vineyards & Winery also produces a HRR Riesling in their Dry Riesling Proprietor's Special Reserve -- another solid wine. Millbrook also produces a very respectable chardonnay, as well as one of my favorites of the weekend - the 2013 Proprietor’s Special Reserve Tocai Friulano. Simply delicious. And talking about trendsetters; Millbrook has been growing Tocai Friulano since 1985. Moving to red wines, the Hudson River Region appears to be a bright sport for Cabernet Franc and Baco Noir. Once again Millbrook Vineyards & Winery provided our party with a solid offering in their Proprietor’s Special Reserve Cabernet Franc. This was followed by the Glorie Farm Winery estate Cabernet Franc - which quickly became a TasteCamp favorite. And count Tousey Winery as another winery producing a solid cab franc. While driving around the Marlboro area the day after TasteCamp, I stumbled upon newly opened Brunel and Rafael Winery. Check out their Hudson River Region Cabernet Franc. 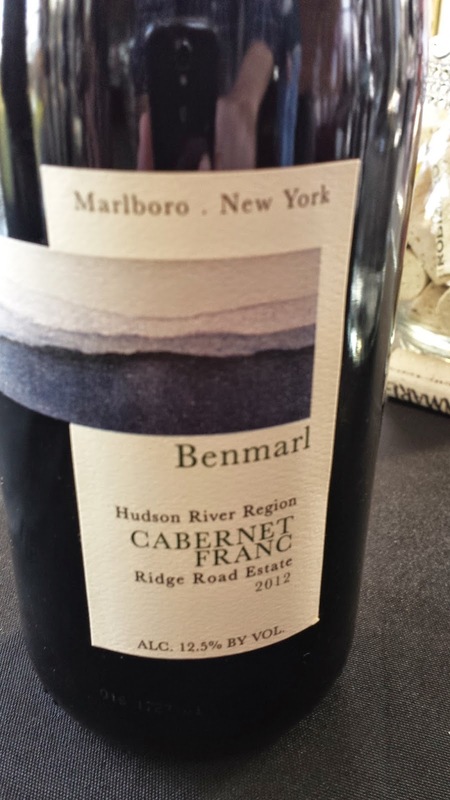 My favorite goes to Benmarl's 2012 Ridge Road Estate Cabernet Franc. This is the bomb. One of the best wines of the weekend. 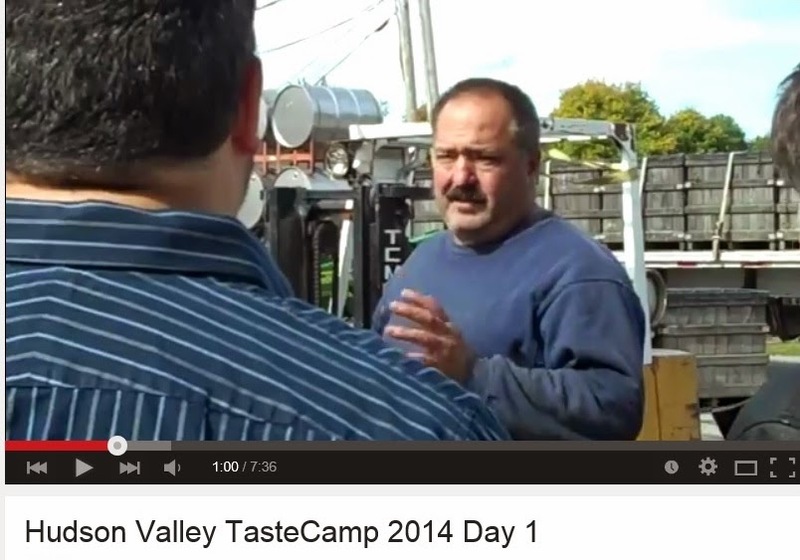 Our host for TasteCamp was the proprietor of Hudson-Chatham Winery, Carlo Devito. Carlo planned the entire weekend, which included a lunch tasting of area wines and ciders at his winery - all this in the middle of harvest. While his winemaker Stephen Casscles & crew crushed grapes, Carlo also opened his entire portfolio for us to sample. And this included several Baco Noirs, Carlo's most famous wines. 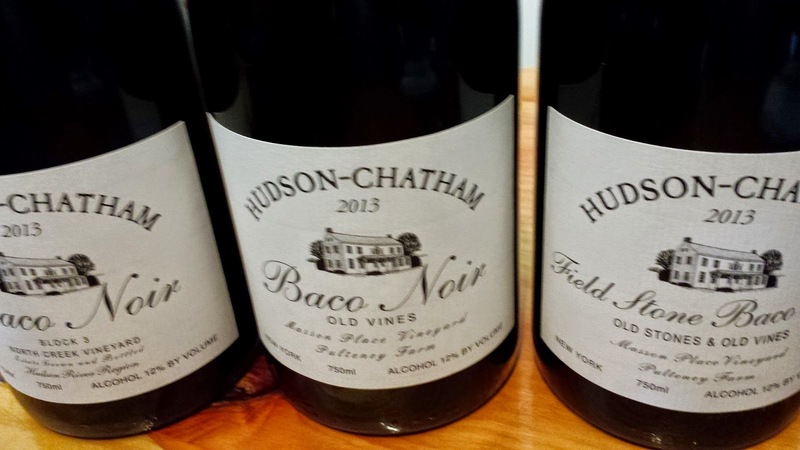 There are not many producers of this hybrid anymore, but Hudson-Chatham specializes in Baco Noir as we sampled four vineyard designate wines. The estate vineyard at Hudson-Chatham, North Creek Vineyard, has four year old vines growing in Block 3 - hence the Block 3 North Creek Vineyard Baco Noir. The also produce theCasscles Middle Hope Baco Noir from a vineyard Casscles planted while in high school. What foresight. My favorite two were from Mason Place Vineyard, the Field Stone Baco - Old Stones & Old Vines - Mason Place Vineyard and the Old Vines Mason Place Vineyard. This last wine is outstanding, the grapes harvested from 60 year old vines. There were also several other reds to praise, in particular, the Hudson-Chatham Winery Chelois, Clearview Vineyard Noiret, and Whitecliff Vineyard & Winery Reserve Gamay Noir. 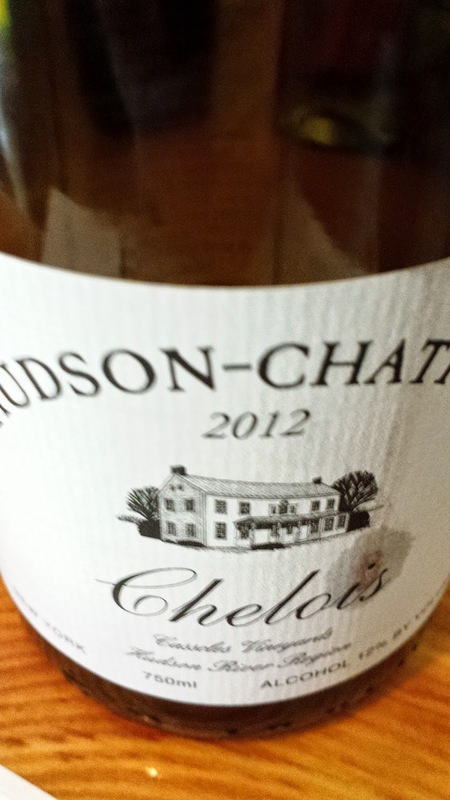 First, who in the U.S. even produces a Chelois outside of Hudson-Chatham. Second, its a killer wine. 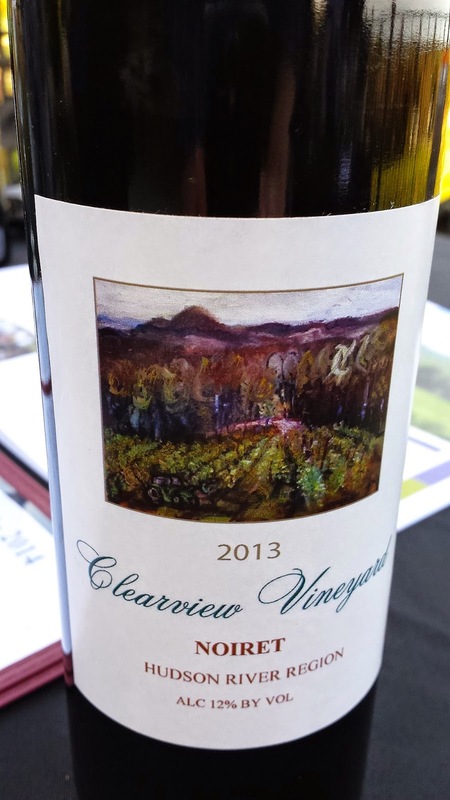 The Clearview Noiret was easily the best I've ever tasted from this Cornell bred grape. And the Whitecliff Gamay Noir was simply spectacular. There are many other wines I know I am omitting, but I'm trying to be brief. Tastecamp was a great education and experience. 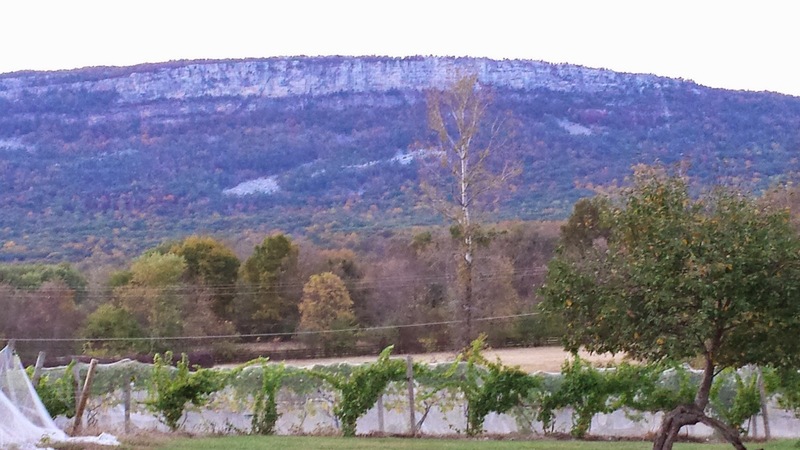 Looking forward to returning soon, hopefully a tour of the southern Shawangunk Wine Trail. Cheers.